Watch Roxanne compete in TUF 26 weekly every Wednesday at 10 PM Eastern 7 PM Pacific time on Fox sports 1, starting August 30, 2017. In their own words: "I'm thrilled to announce that I won my fight against the very tough Sarah D'Alelio in the third round via TKO." Roxanne will fight on May 20th in Invicta Fighting Championships 23 against Sarah D'alelio on May 20th. In their own words: "My next fight has been announced! I'll be facing Sarah D'Alelio May 20th on Invicta Fighting Championships 23 in Kansas City, broadcast on UFC Fightpass . I'm really excited to fight Sarah because she's skilled and strong. It'll be an exciting fight. 次の試合を発表します！5月20日にインビクタでサラ・デレイリオンとやります。強い相手だから楽しみにしている。 Minha próxima luta é 20 de maio!" Roxanne Modafferi will fight Jennifer Maia for the title on September 23 in Kansas City, MO. 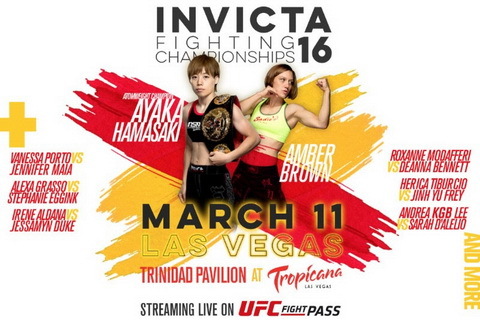 Learn more at InvictaFC.com. 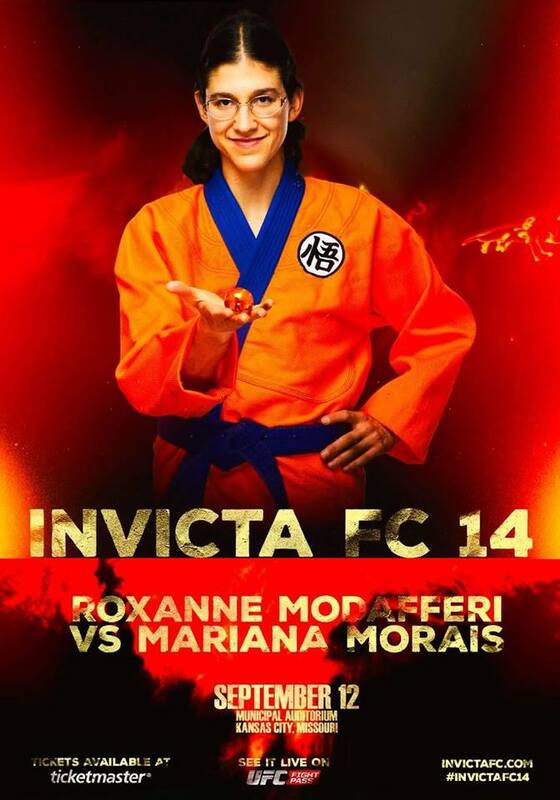 Roxanne will be facing Mariana Morais (9-2) at Invicta 14, held in the Municipal Auditorium in Kansas City, MO. It will also be streamed live on UFC Fightpass September 12th. Roxanne Modafferi will compete against Leilani “The Turtle” Esteban. From their website: "Ultimate Fighter season 18 competitor Roxanne Modafferi will be facing talented grappler Leilani “The Turtle” Esteban." Roxanne Modafferi is scheduled to fight Vanessa Porto on December 5th in Invicta 10. The fight will be held December 5th at the Arena Theater in Houston, Texas.